Cherrey, who also is the dean of students and a clinical professor in the A.B. Freeman School of Business, has been at Tulane since 2003. Cherrey was an invited participant in the W.K. Kellogg Leadership project to advance leadership knowledge, education and practice for the 21st century. She is a senior fellow at the James McGregor Burns Academy of Leadership, and was a recipient of a Fulbright Scholarship. 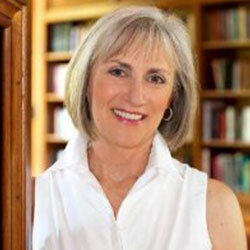 To read more about Dr. Cherrey, visit her personal site.